We all know how important your horse’s fitness is, but what is fitness? There are many ways to tell if a horse is fit, how long how fast or far the horse can go without winding itself, how long they can school for or even how many jumps they can do per training session. The fact is that fitness in horses is relative – just like in human athletes. If you try and judge a marathon runner by their ability to run 100 meters then they will not appear fit. It is the same with our equine athletes; a showjumper is not going to be able to complete a 30km endurance ride with the same effectiveness as an endurance horse. When assessing your horse’s fitness there are many factors to take into account. You want your horse's fitness to match your goal; be it hacking, competing or just being able to enjoy your horse. Before starting fitness work it is a good idea to give your horse a health check. Checking vaccination and farrier records and getting the vet out for a check-up would be a good idea – especially with an older horse. Developing a purpose built training programme is a very good idea, building week on week to improve your horse’s fitness. You can tailor an effective plan with your trainer – this is the first step to reaching that final goal. You want to develop an individual plan for your horse depending on age, current fitness level, any previous injuries and previous fitness levels. A horse who has previously been very fit may not take as long to regain that fitness. The main aim of a fitness plan is to minimise the risk of injury and whilst getting to the optimal performance for your goal. You want to increase your horse’s fitness gradually to allow your horse’s body to adjust to the increased workload – if you move too quickly you increase the chance of tissue damage. But how do you know if your programme is working? Well there are many different ways to do this. You can keep track of each session by hand, how the horse felt through the session and how easily the horse coped with the session. There are other options available. For example, phone apps which can track the horses speed and movement during sessions, logging these keeping a record of them for comparison. Fitness tracker worn by riders can also be used to track sessions but give very limited information on the horse’s way of going. There is now a new breed of fitness tracker – especially for horses; with Estride being the newest and probably most thorough home Equine biomechanics system currently on the market. Estride is a rider friendly fitness tracker with unique system of tracking your riding sessions. It is designed to help you get the most out of each training session with your horse. It can measure Training Time, Stride Count, Gait Pattern, Session Regularity, Horse Stability and Calorie Burn for starters. It can even be used to help you rehabilitate your horse post injury, with early indications of stride change. It can give you detailed information on each legs movement and the horses balance and stability in each pace on each rein. There is an Estride that would suit you; we cater for people of all interests, from people who just like to hack, up to high level competitors. You are an Estrider, because you care. You can access the data you record anywhere, anytime with their MyEstride app, you can compare sessions between weeks and months, and even between different horses. You can even set yourself session goals, such as steps taken and time spent in each gait – with easy to understand charts and pictograms to understand what your data is telling you. Or maybe you’ve had a similar disappointment with your first Thoroughbred racehorse. Coming back from a spell, you’ve been cautious about workouts, only going to full speed about once per week or so. You were happy with the final training breeze, but in your first race, your gelding breaks well and then fades to the back of the pack, finishing in last place. In each case above, the owner of the horse didn’t really have an accurate perception of the horse’s condition or their ability to compete rigorously against the field. Of course, the looming question is how do you do better next time? Is there a way to assess your horse’s performance in training sessions to better predict outcomes in actual competition? What is horse training on a scientific level? 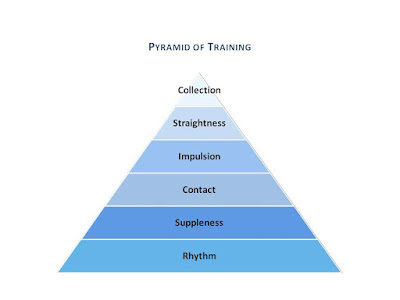 Before discussing how to assess your horse’s training, it’s helpful to define training in a scientific manner. What is training exactly? How can the beginning rider measure horse fitness? While a veterinarian in a lab can acquire data to measure many of the above metrics and more, what is the average rider or small stable owner to do beyond timing for speed or knowing the height of jumps cleared by a horse? One of the most basic places to start is with your horse’s weight. Just like with human athletes, if your horse is over or underweight, it will not likely have the ability to compete with other horses in prime condition. If you do not have a livestock scale available for an accurate weight assessment, use the “point measurement” technique, which is more accurate than using a commercial weight tape. Ask your vet what your horse should weigh, and if it does not meet that metric, develop a feeding plan together to get there. Another easy assessment to take is your horse’s heart rate (pulse), which is a component of cardiac output, an indicator of how hard, and more importantly, how efficiently your horse is working. Heart rate multiplied by stroke volume (the amount of blood pushed into the circulatory system with each heartbeat) equals cardiac output. You can take your horse’s heart rate by palpation (with your fingers) or using a stethoscope, and it’s a good skill to have anyway to help mark the early signs of dehydration, colic, and infection. To make your horse’s heart rate information helpful, you need to know the rate at rest and again immediately after exercise. You should then see how fast the heart rate comes down after exercise, which, just like with people, is a reliable indicator of fitness. Additionally, a really healthy horse can perform a higher level of exertion at a lower heart rate than one that is out of shape. What about more technological methods? There are a number of other more complicated metrics riders and trainers use to evaluate horse fitness and performance, some more reliable than others. In horse racing, for example, red blood cell (RBC) measurements are frequently taken after exercise, however this method may miscount the total number of red blood cells that are stored in the spleen and released quickly into the bloodstream at the start of exercise. Body temperature is another measurement that can be helpful when used correctly. A horse that is well conditioned shouldn’t see as great a rise in temperature with heavy exercise as one that is in poor shape, but that can vary with the ambient temperature. Horse temperature measurements are most accurate as an indicator of fitness when the weather is neither too hot nor too cold outside. Because respiration is used as a means of cooling in the horse, the respiratory rate (the number of breaths taken per minute) may also vary in its reliability as a measure of fitness. On a hot day, a horse may breathe more rapidly to cool itself than on a cool day, so keep that in mind when using this metric. If you want a more technological approach to evaluating heart rate, there are horse heart rate monitors on the market now, just as there are for human runners. Most of these attach to the girth strap or use a belly band, like Polar’s Equine Inzone and SeeHorse. SeeHorse also monitors respiration via the movement of the rib cage, as well as non-invasive temperature monitoring through radiant heat (not as accurate as an internal reading but offers relative temperature changes). How can more complete objective data yield better results in subjective categories? If you want to go up yet another level in horse fitness and performance monitoring, as well as to collect data that can assist with those tricky subjective criteria that make or break competition, there are new options. Wait, you’re probably asking, how can knowing hard numbers affect non-objective assessments, like the quality of movement in a dressage test or how well a horse will extend its reach to close distance in a Thoroughbred race? Reach is a vital component of jumping and Thoroughbred racing, in addition to other riding disciplines. The extension of the forelimbs through the horse’s shoulder and elbow joints can determine whether or not they can overtake another horse to move up the field and win in a race. Hind leg extension in jumping can keep a horse from knocking a rail down and incurring a penalty or slower time. Enter biomechanical devices like ESTRIDE. Estride performs gait analysis to examine stride consistency and changes both in single training sessions and over time. Extra analytics are available with Estride’s four-node model (the nodes are worn on the horse’s legs in special strap-on boots) to help riders evaluate training (and rehabilitation) data and make predictions about future performance. Estride works on the latest RF (radio frequency) technology, unlike Seaver, a device that measures jump path and works on Bluetooth technology. This means you do not have to carry your controller/phone with you while riding and using Estride. Estride has a recording range of 1.2 km giving you complete handsfree access to measuring your performance. With devices like Estride, there’s no more guessing about your activity pattern in preparing for a dressage test, and you’ll know if your horse can maintain its initial stride in the final furlongs of a race. Setting up jumps in competition will be more regular, and any horse owner or trainer can see the early signs of gait changes that could point to imminent lameness or injury. Estride also calculates both the number of calories burned in training by the horse and by the rider. If you’re going to put your horse on a strict program to improve fitness, let’s not forget that having a rider in tip-top condition won’t hurt!